Hooray for 60 degrees in February! I know, I know, we’re still in for more freezes and snows between now and Mother’s Day (unofficial last frost date in this part of the southern Appalachians), but DANG, it feels great outside! 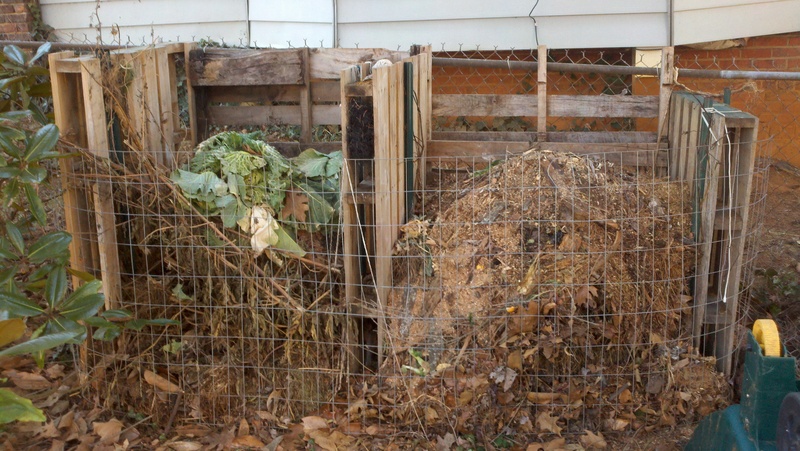 I finally tackled our barely-decomposing compost piles today. It was an archeological dig of sorts. I found a perfectly-preserved apple in there from last October, a few smushy but still vibrantly red peppers, and I also found a resurrected kale plant that I thought was killed by the cold….it had even grown a few new shoots. I fished it out and planted it in one of the beds. 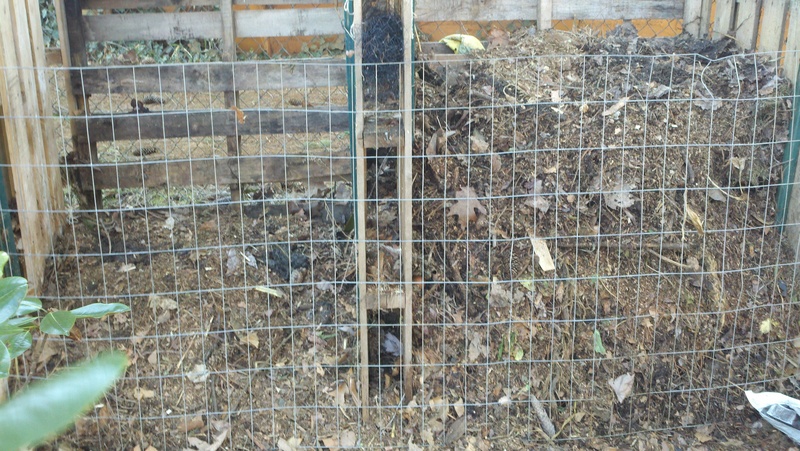 Hmm, my compost piles need some serious adjustment. We started these two piles last year, and they’re not breaking down as fast as I’d like. I think the one thing I’m missing is some kind of animal manure to get it hot. So, my lawnmower became my mulcher. I dug out both sides of the piles, and ran over the contents over and over and over and over ( = sore lower back in the morning). This being a “yard farm” and all, the garden/compost piles are in close proximity to my neighbors, so I did go check with them and make sure they wouldn’t mind the mid-morning racket (they have a 3-month old and I surely didn’t want to disturb a nap with a lawnmower chewing up stalks and leaves). I was really proud of my idea to mulch with the lawnmower, but that was tempered by my husband pointing out that running over that many stalks will probably mean a trip to get the blade sharpened. Oh well….it worked, right? 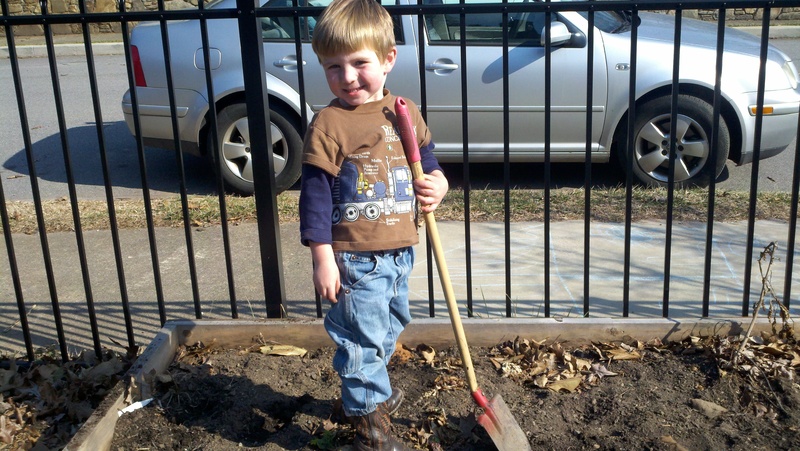 This is our other compost “system” in the yard. 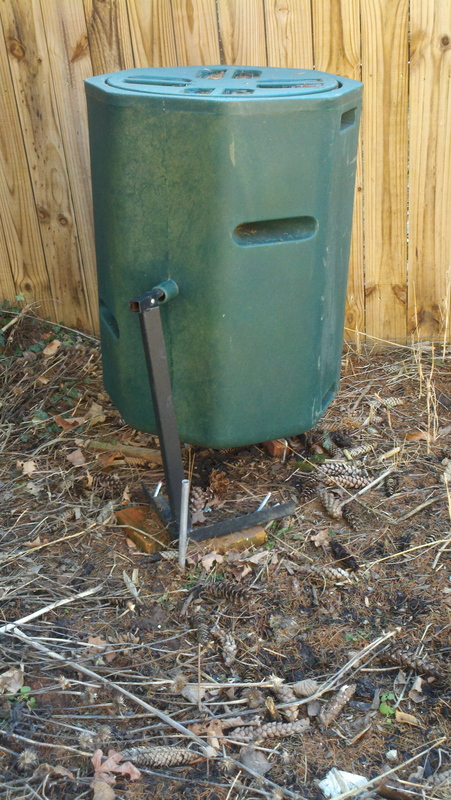 I bought this tumbling composter a few years ago. It looked so cool, simple and easy….it definitely heats up fast and turns all kinds of stuff into beautiful crumbly black compost, but it’s not easy to turn. And if you leave it turned lid-side-up, it fills up with rain and then you’ve got a big ol mess to deal with (like I had to fool with today). But even compost slurry getting in my boots couldn’t put a damper on my delight at the hint of spring around the corner — yeeeehaaa!